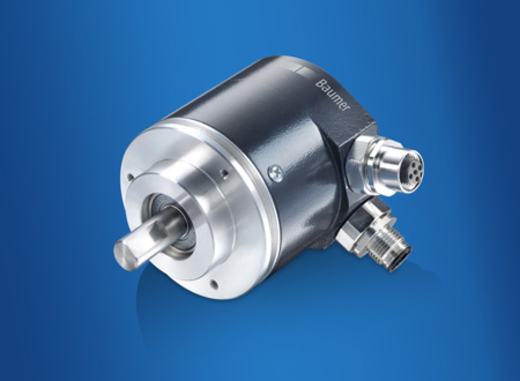 Absolute encoder family GXP5W by Baumer features an optical sensing method with an absolute accuracy of 0,025°. The interface is available as CANopen® and CANopen®-Lift. It provides maximum resistance against magnetic fields and a permanent check of code continuity. An integrated LED indicates the status. The operation temperature range is -25 °C to +85 °C and its sealed version is IP 65 proof.